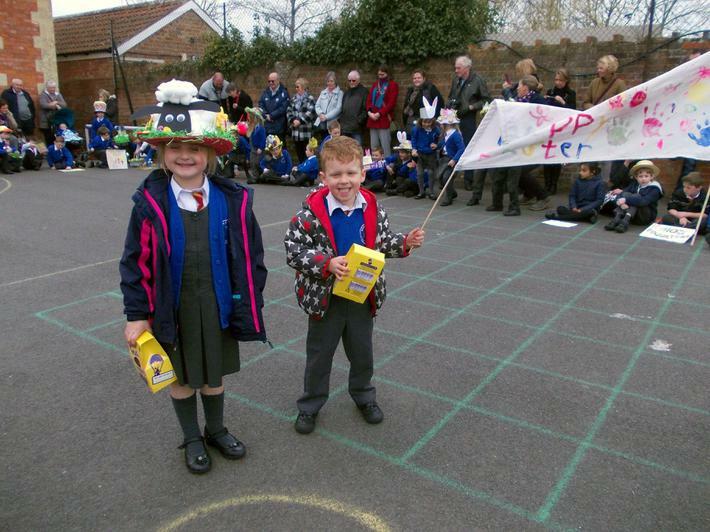 Last week Mark C of E First School and Mark Harvest Pre-School held their annual Easter Parade. The children and their parents made a tremendous effort in creating spectacular Easter bonnets, flags and gardens. A big thank you to our judge this year, Kevin Bond from Somerlap Forest Products. 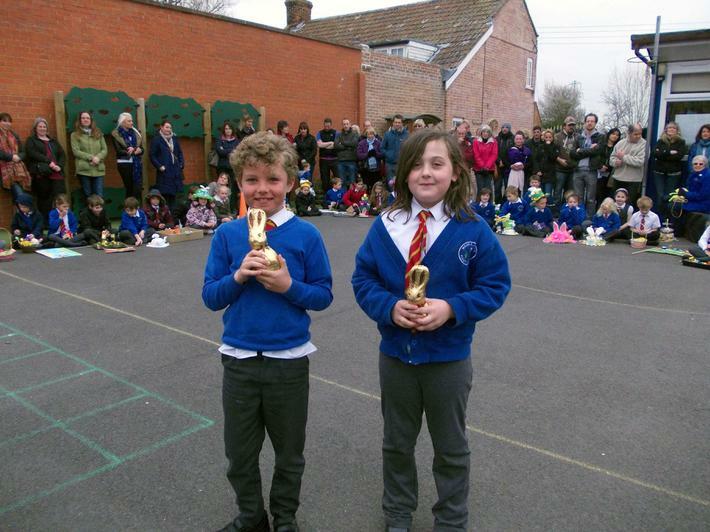 Prizes for each class were donated by the PTFA and every child received an Easter treat. 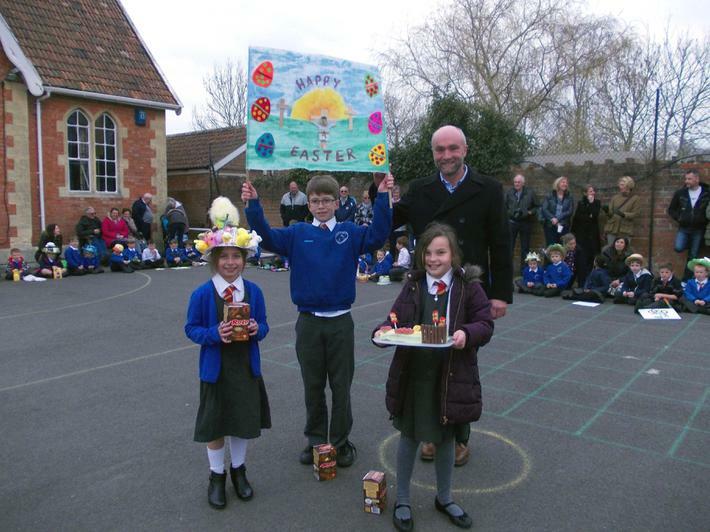 The Easter colouring competition was also a great success with a high number of entries. Afterwards everyone enjoyed the cake stall and chocolate tombola held by the PTFA.